$449,999 - Harvey Strong & Adorable! $429,000 - Beautiful "Turn Key" Townhome! $385,000 - What a VIEW! 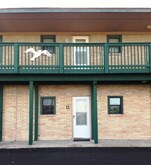 $379,000 - Superior Location At Beachfront Complex! $319,995 - Turnkey Beachfront Unit! $159,000 - Awesome Beach Views! $158,500 - Nice Balcony - Cool Coastal Breezes! $149,000 - One Bedroom Condo In Beachfront Complex! $135,000 - Lovely Updated Unit In Fun Complex! $110,000 - Great Price For Beachfront Condo! $99,500 - Beautiful Beach Views From This Efficiency!